The rent at Thrive Jenks Apartments ranges from $760 for a one bedroom to a $1,150 two bedroom. Apartments in this building are about 14% more expensive than the Jenks average. This is a pet-friendly apartment. This apartment is in Jenks. 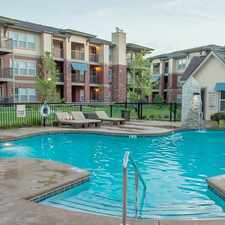 Thrive Jenks Apartments has a Walk Score of 69 out of 100. This location is Somewhat Walkable so some errands can be accomplished on foot. THE LIFESTYLE YOU DESERVE. Located in Jenks, Oklahoma, and just across the river from Tulsa, THRIVE Jenks is a living experience unlike any other. We design spaces and experiences that are created for life, making it easier than ever for you to LIVE INSPIRED. You'll be immersed in a community with close proximity to some of the greatest restaurants, shopping, and cultural opportunities in the region. Explore how far you can travel by car, bus, bike and foot from Thrive Jenks Apartments. Thrive Jenks Apartments has minimal transit which means it is possible to get on a bus. View all Jenks apartments on a map. Search for homes in Jenks or find a Jenks real estate agent who knows walkable neighborhoods. Links will open on our partner site Redfin.com. 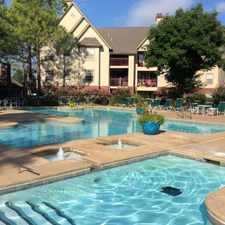 Thrive Jenks Apartments is in the city of Jenks, OK. Jenks has an average Walk Score of 14 and has 16,924 residents.